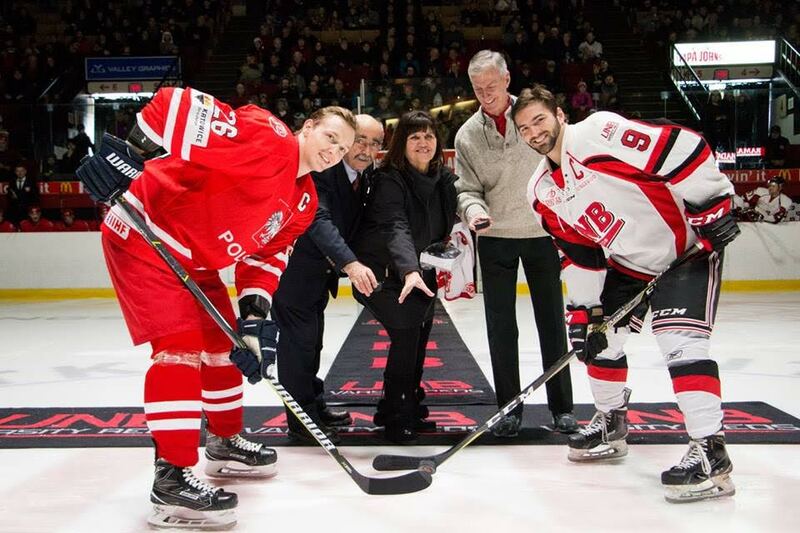 Ceremonial face-off at an international game University of New Brunswick Varsity Reds vs Poland’s National men’s hockey team, featuring Jan Skora, Poland's Honorary Consul for Atlantic Canada, Chief Candace Paul, of St. Mary's First Nation, and former UNB Red Devil Jim Morrell. Former NHL Coach of the Year Ted Nolan is the head coach of the Polish team. Former Varsity Reds head coach Tom Coolen from Halifax is his assistant. Both were hired by the Polish Ice Hockey Federation in July 2017. 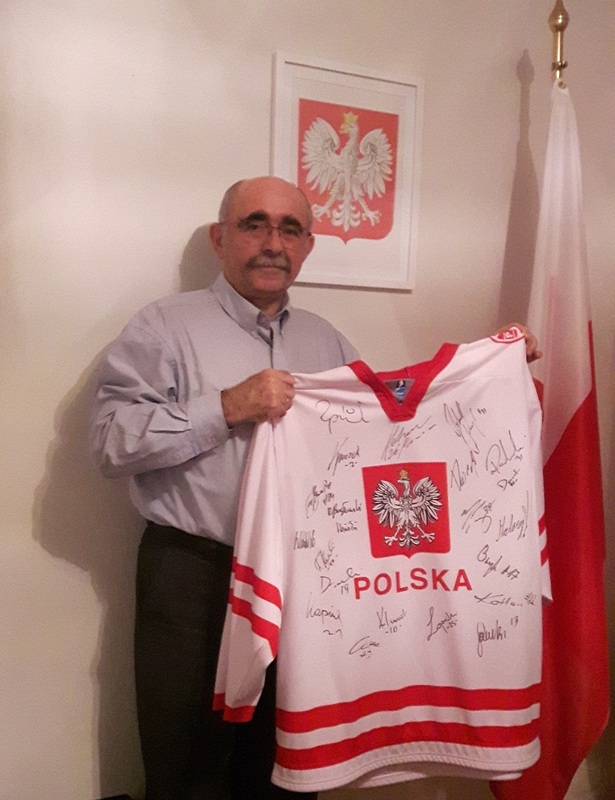 Consul Skora was presented with Poland’s National men’s hockey team jersey with autographs of all players. This year Poland celebrates 99 years of independence gained on November 11, 1918. Prior to this date Poland had been partitioned among Russia, Prussia and Austria and wiped off the map of Europe for 123 years. After World War II Poland lost its independence for several decades and finally regained it in 1989. Today, Poland is one of the leading European countries. 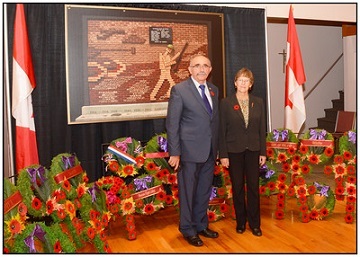 This year anniversary celebrated at the University of King's College in Halifax was attended by Mr. Andrzej Kurnicki, Ambassador of the Republic of Poland in Canada, Colonel Cezary Kiszkowiak, Military, Naval and Air Attaché of the Republic of Poland in Canada, Mr. Lukasz Weremiuk, First Counsellor, Head of Political Unit at the Polish Embassy in Ottawa, Honourable Tony Ince, Minister of Public Service Commission and African Nova Scotian Affairs on behalf of NS Premier Stephen McNeil, Honorary Consuls, members of Polish organizations - Polish Canadian Society of Nova Scotia, Polish Canadian Women's Federation Halifax branch and Nova Scotia Society of Polish Artists as well as local polish diaspora and our Canadian friends. In 1943, two polish pilots; Major Andrzej Markiewicz and Lieutenant Mieczyslaw Glód crashed near Elgin in extreme weather conditions during the training exercise in preparation for an overseas mission in Europe. Both pilots are buried at the cemetery in Moncton. This year, at the initiative of Jeff Martin, local businessman and community leader, a cenotaph has been erected to commemorate this event. 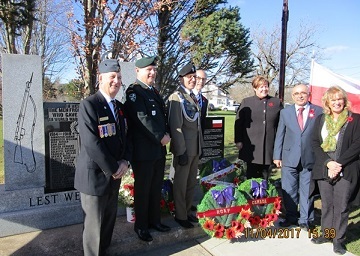 The unveiling of the monument was attended by the Military, Naval and Air Attaché Col. Cezary Kiszkowiak from the Embassy of the Republick of Poland in Ottawa, Honorary Consul Jan Skora, Alaina Lockhart Member of Parliament, members of the Legislative Assembly of New Brunswick and members of Polish and Canadian community. 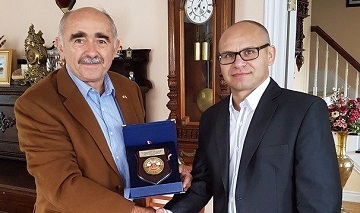 Lieutenant Commander Tadeusz Fajter on behalf of Vice Admiral Stanislaw Zarychta, Commander Polish Maritime Operations Centre - Maritime Component presented a commemorative plaque to Consul Jan Skora. Delegation from the Polish Navy in front of an anchor from Canada's last aircraft carrier, H.M.C.S. Bonaventure in Point Pleasant Park in Halifax. - an agreement to establish mobility of students and faculty between both universities, to co-operate on research, to encourage visiting lecturers and more. Saint Mary's University was founded in 1802. It is a mid-sized Canadian university of approx. 7,000 students located in the south end of Halifax Nova Scotia. One of Saint Mary's most distinguishing characteristics is its global focus. One of Canada's most international campuses, Saint Mary's boasts more than 1,000 international students and has forged more than 40 international partnership agreements. The University of Wroclaw (picture on left) was founded in 1702, it is one of the oldest collegiate-level institutions of higher education in Central Europe with around 30,000 students (2012). There are 10 faculties that provide 44 areas of study, in which the language medium is mostly in Polish, with only some in English. 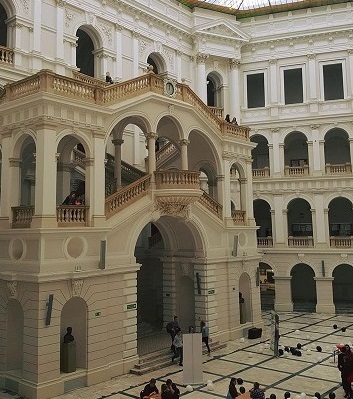 The University of Wroclaw provides Bachelor, Master, and Doctoral level programmes. All of the degree certificates awarded by UWr are recognised globally. 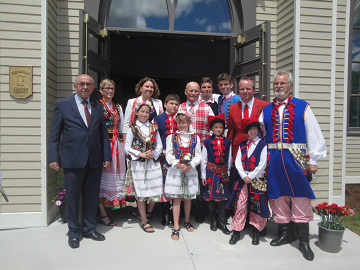 Once again the Polish community in Halifax celebrated Polonia Day. This event was to recognise achievements of Polish diaspora of Nova Scotia. The event also provided opportunity to remember 226th anniversary of May 3, 1791, the first democratic Constitution in Europe. One of the participants was Mr. Witold Zahorski, a veteran of 1944 Warsaw Uprising living in Canada. 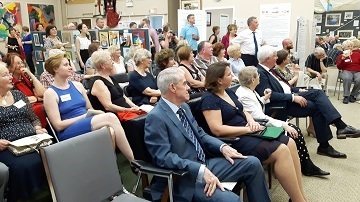 Polish artists from across the province of Nova Scotia recently showcased their work at a special heritage celebration in Windsor. The Nova Scotia Society of Polish Artists commemorated the contributions of Polish immigrants to Canadian culture at an art show at the Windsor Golf Center May 18-22. The event, organized by Dr. Teresa Machel, featured eighteen artists representing various mediums. The celebration focused on 265 years of Polish immigration to Canada - the first immigrant arrived in 1752 - and the impact artists have had on the country. One of the large, eye-catching pieces on display was by Amherst's Dr. Halina Bienkowska. 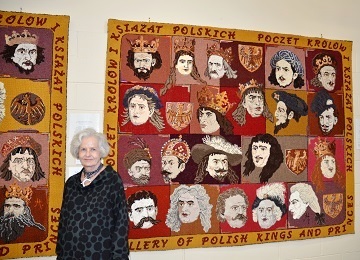 She submitted two rug wall hangings that depicted a gallery of polish princes and kings. Poland was rules by kings from the 11th to the 18th century. The Polish Embassy in Ottawa and the Nova Scotia Minister of Communities, Culture and Heritage were the major sponsors of the event. 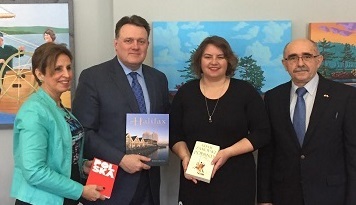 Consul Kucy from the Polish Embassy in Ottawa met with the Mayor of HRM, Mike Savage and Councillor Lorelei Nicoll to continue the process of twinning Halifax and Gdynia (Poland). This has been initiated by the Honorary Consul Jan Skora almost two years ago and partially implemented. The Immigration Museum at Pier 21 in Halifax established a vibrant and a very effective contact with the Museum of Emigration in Gdynia. The Polish Navy Museum has engaged with the newly proposed Battle of the Atlantic Museum in Halifax. Consul Kucy also discussed exchange opportunities with universities in Poland. Another great social event organized by the Polish Canadian Society of Nova Scotia (PCSNS). 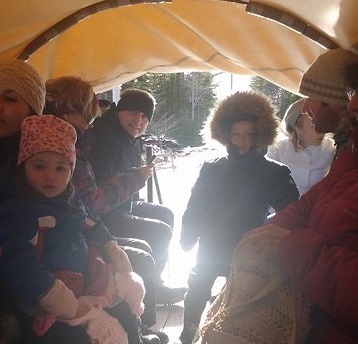 Around 45 participants, both new and familiar faces of all ages, including many young families enjoyed the horse sleigh ride at Hatfield Farms. PCSNS came to life in December 2014. 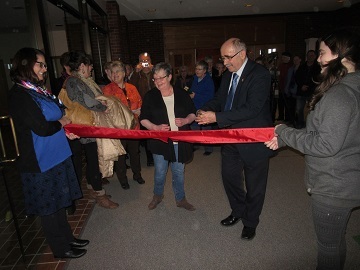 It engages Poles and Canadians with connection or interest in Polish culture to celebrate and promote the Polish-Canadian presence in Nova Scotia. Anyone who is interested in Polish culture can get involved in the initiatives organized by PCSNS regardless of their heritage or language proficiency. Follow PCSNS on their Facebook account to stay upated about future events. 2016 marks the 98th anniversary of Poland's Independence regained on November 11, 1918 after 123 years of partitions by neighbouring totalitarian countries. The Polish community celebrated the anniversary to respect and recognize thousands of people who lost their lives in the struggle for independence. 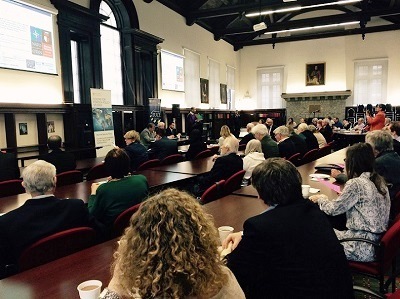 The event took place at the University of King's College in Halifax. The evening featured a screening of a movie "Karbala". The movie is based on true story portraying the absolute bravery of Polish soldiers in a battle that took place during the holy day of Ashura in April 2004, when the Shiites of Karbala rose up against the US-led multinational forces, which included a Polish contingent. The confrontation took place at Karbala's City Hall, where the allied forces had their headquarters. It is rather the story about people who were thrown into extreme conditions and didn't expect to fight with such intensity, but they overcame their fear and just persevered to the end. This was the largest battle in which Polish soldiers had participated after the end of World War II. 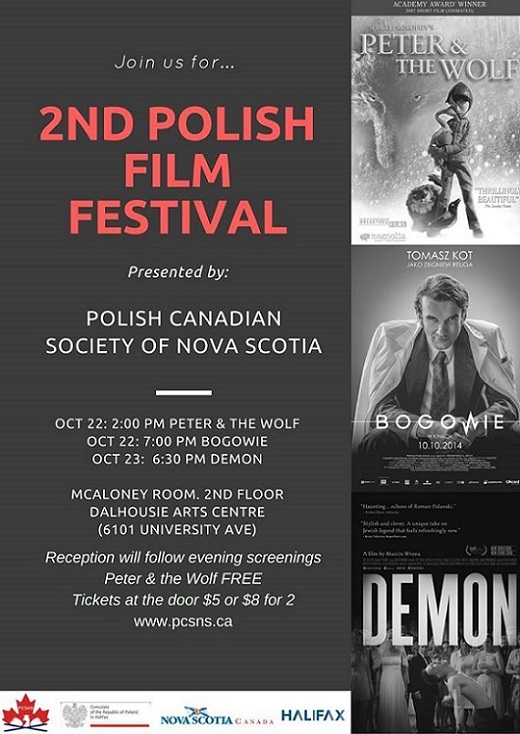 The Polish - Canadian Society of Nova Scotia invites you and a guest to attend the 2nd Polish Film Festival in Halifax. Family film screening is FREE and will include activities for children. It is appropriate for school-aged children and up. In this adaptation of Sergei Prokofiev's symphonic narrative, beautifully crafted stop-motion animation replaces Prokofiev's narrator, and a twenty-first century ending challenges viewers to think about humans' relationship with nature. The film, which was made in Lodz at Se-ma-for Studios, won the Oscar for best animated short. Tickets at the door: $5 for one or $8 for two movies. Zbigniew Religa performed the first successful heart transplant in Poland in 1987 - a grueling, 23-hour operation considered almost impossible at the time. This award-winning dramatization explores Religa's struggles against ethical objectors, bureaucracy, and lack of funding in a complex era, capturing the intensity of the operating room, the energy and even the arrogance of this medical trailblazer. In Polish with English subtitles. This film is sponsored by the Consulate of the Republic of Poland in Halifax and the Polish Embassy of Poland in Ottawa. This chilling, uncanny film is based on the Jewish tale of the dybbuk, the spirit of a deceased person who possesses a living one. It is part historical allegory, part bloodless horror film, part family drama, and part black comedy. This Polish-Israeli co-production is as engaging as it is artistically powerful. In Polish, English, and Yiddish with English subtitles. The Nova Scotia Legislature honours Consul Skora for his dedicated contributions to promoting cultural and economic ties between Poland and Nova Scotia as well as for his achievements in the field or architecture and urban planning in Nova Scotia. 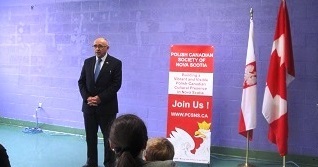 Every year Consul Skora organizes and contributes to a variety of events related to the Polish - Canadian relationship. Some of the examples are twinning of City of Halifax with City of Gdynia, Poland, co-operation and information exchange between sister ships ORP "BLYSKAWICA" and HMCS "SACKVILLE" and many others. The award ceremony was hosted by the Minister of Immigration of Nova Scotia, Hon. Lena Diab who handed in the recognition awards to outstanding Nova Scotians for their continuous effort to the success of the province. 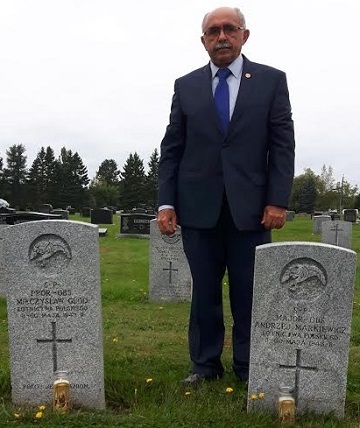 Honorary Consul Jan Skora pays tribute to two polish aviators laid to rest at the Moncton cemetary in New Brunswick, Canada. Please contact me if you can help find some relatives in Poland of these men. On the evening of May 7, 1943, fourteen Ansons, twin-engine bombers, took off from RCAF Station Chatham on a training exercise. The weather was clear at the time but a heavy fog rolled in shortly after the exercise began. Two Ansons ran out of fuel over water and one ditched into Miramichi Bay near Bay du Vin and one near Bathurst, drowning two trainees. Another made a forced landing on a highway near Bathurst and all survived. The aircraft with the two Polish aviators, Major Andrzej Markiewicz and Lieutenant Mieczyslaw Glod, crashed into a hill near Elgin, New Brunswick, killing the two Polish trainees and the instructor. The pilot survived. The crash occurred in the early morning hours of May 8. The Battle of Britain, which started in the fall of 1940, involved the British Royal Air Force, Royal Canadian Air Force and also airmen from: Poland, Australia, Barbados, Belgium, Czechoslovakia, France, Ireland, Jamaica, Newfoundland, New Zealand, Rhodesia, South Africa and the United States. International delegates arrived in Dieppe for the ceremony. Hon. Consul Jan Skora laid a wreath to commemorate 145 Polish pilots who fought in the battle on behalf of Polish government. The last Polish pilot from the Battle of Britain, Brigadier General Tadeusz Sawicz, died in October 2012 in Toronto. Thanks to incredible support and hard work by many people, St. Mary's Polish Church in Whitney Pier, Nova Scotia, the only Polish church in Atlantic Canada, has re-opened after the fire in 2014. Established in 1913, the church is the centre of Cape Breton's Polish community, one of the longest-standing Polish communities in Canada. The Open House took place on Sunday, June 26, 2016 and the official Mass of Consecration was held on Sunday, July 3, 2016. Everyone was welcome to see the beautiful church including the Polish community in Halifax. Another great event organized by the Polish Canadian Society of Nova Scotia and the Consulate of the Republic of Poland in Nova Scotia. Hon Consul, Jan Skora, provided remarks on the occasion of 225th anniversary of adoption of the Constitution of May 3, the first written constitution in modern Europe and the second in the world, after America's. He also handed a commemorative medal for the 70th Anniversary of the 1944 Warsaw Uprising awarded by the Polish Government to Mr. Zahorski. The Polish Canadian Society of Nova Scotia prepared a wonderful program to celebrate their achievements in preserving Polish history, culture and traditions with an added Polish - Canadian focus. There are about 1 Million people of Polish decent curently living in Canada. In February of 2002, the Senate of the Republic of Poland adopted a resolution setting aside May 2nd as a day to honor the worldwide Polonia. 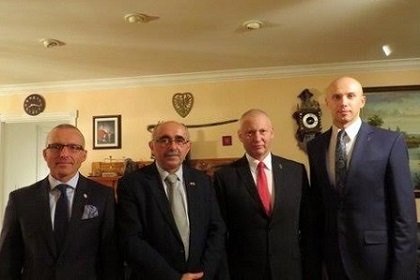 At the invitation of the Honorary Polish Consul in Halifax, Jan Skora, the Battle of the Atlantic Society participated in a study tour of Polish Museums in October 2015. The main goal was to establish a relationship between Polish ORP 'Blyskawica', the oldest preserved destroyer in the world, and Canadian HMCS 'Sackville', both being historic ships and of cultural significance to their respective navies. 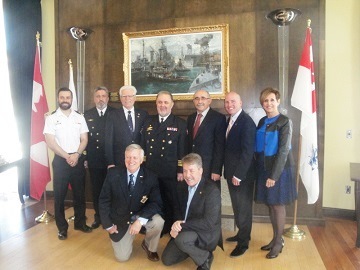 As a result of the visit, Cdr Lubkowski, CO of ORP 'Blyskawica' and Lt Cdr Jarosz, Deputy Commander of the Sailing Training Center of the Polish Navy visited Halifax May 16 - 21, 2016 to pursue this goal and present the future ways of cooperation between both countries and represent Poland's contribution to the Battle of the Atlantic in the new Battle of the Atlantic Place	museum destined to be built on the Halifax waterfront. See pictures of the visit and Press Release. At the initiative of the Honorary Consul, Jan Skora, the City of Halifax and the City of Gdynia, Poland started preparing for declaring both cities as "sister" cities. 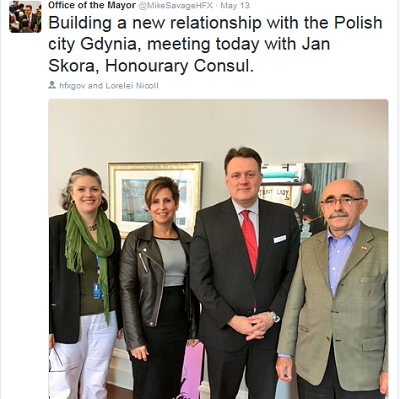 A delegation from Halifax travelled to Poland in October 2015 to establish initial contact. As a result of the visit the Mayor of Gdynia accepted the proposal in an official letter to Mike Savage, Mayor of Halifax. A meeting with Mayor Mike Savage took place on May 13, 2016 to plan future potential cooperation between both cities in the economic and cultural areas. 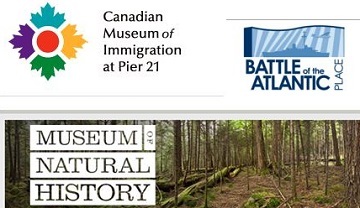 The existence of the Emigration Museum in Gdynia and the Canadiann Museum of Immigration at Pier 21 in Halifax proves that the possible cooperation holds a huge potential. The European Union Centre of Excellence with the Centre for Foreign Policy Studies at Dalhousie University, in conjunction with the Embassy of the Republic of Poland in Ottawa and the Consulate of the Republic of Poland in Halifax organized the talk about the Road to the NATO Warsaw Summit in July 2016, how to strengthen NATO and enhance European security. About 80 guests participated in this seminar. The speaker was Robert Kupiecki, Former Poland's Deputy Minister of National Defence, Former Ambassador to the United States of America, Former Deputy Ambassador to NATO and currently Professor in the Institute of International Relations, National Defence University Warsaw, Poland. The screening of the Polish movies covering the achievements of Polish cinematography in the period of 1945 to 1989 will take place in Halifax during the months of February and March 2016. This is the full list of films. 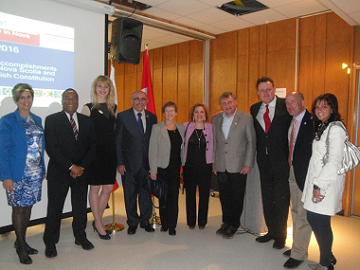 The program was organized by Prof. Fred Young, with the support of the Honorary Consul of Poland in Halifax. 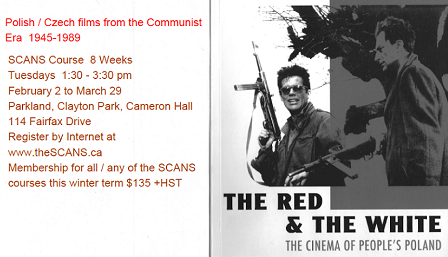 I encourage you to register for this program, especially because we do not often have a chance to see such films in cinema format in Halifax. If you have additional questions please contact SCANS at info@theSCANS.ca or (902) 444-7588. 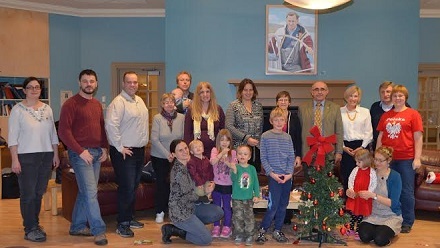 Consul Aleksandra Kucy from the Polish Embassy in Ottawa travelled to Halifax to render consular services for the Atlantic Provinces Polish community on December 5, 2015 at the location of the Polish Consulate in Halifax. During her free time the Consul also met with the children participating in the monthly activities to practice the Polish Language and learn about Polish traditions and customs. The Consul also participated in the PCSNS planning committee meeting to discuss future plans in promoting Polish culture and language in Nova Scotia in 2016. Gen. Rozanski participated in the Halifax International Security Forum November 20 - 22, 2015. During his visit Gen. Rozanski, Col. Gluszczak and Col. Kiszkowiak met at the Polish Consulate to discuss future plans for the participation and cooperation of the Polish Armed Forces in projects initiated by the Consulate in Halifax. 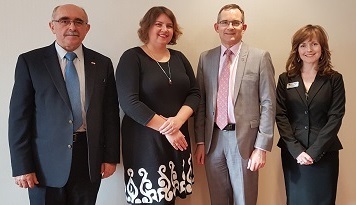 The Polish Ambassador who participated in the Security Forum also met with the Consul to discuss current and new projects recently initiated by Halifax Consulate of RP. This year marks the 97th Anniversary of Poland's Independence regained on November 11, 1918 after 123 years of partitions by neighbouring totalitarian countries. We celebrated the anniversary to respect and recognize thousands of people who lost their lives in the struggle for independence. The event took place at the University of King's College in Halifax. The evening featured a screening of a movie "Warsaw Uprising 1944" about one of the most heroic episodes of the Polish history, 1944 Warsaw Uprising. It was compiled from the original documentary materials. The story is shown through the eyes of an US airman, who escaped from the Nazi POW camp, and two young Polish soldiers - reporters. They try to document not only the drastic scenes from the front line but also moments of relaxation of the fighters and the daily life of ordinary residents. 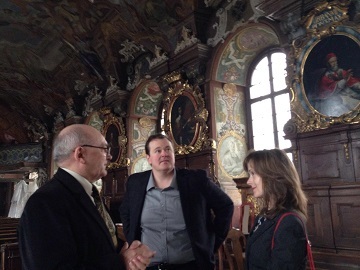 On the initiative of the Polish Consulate in Halifax, with significant assistance of the Polish Embassy in Ottawa and the Polish Ministry of Foreign Affairs, a delegation of cultural institutions of the province of Nova Scotia went on a study visit to Poland which took place from October 5 - 10, 2015. 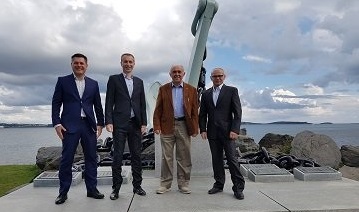 The delegation included representatives from the Canadian Museum of Immigration at Pier 21, the Museum of Natural History and the Museum of the Battle of the Atlantic. During the visit, the delegation visited the city of Warsaw, Krakow, Gdynia and Gdansk and participated in meetings with institutions that are interested in cooperation with museums in the Province of Nova Scotia. On the initiative of the Polish Consul in Halifax, efforts have been initiated to establish the City of Gdynia as a sister city with Halifax. The delegation had the opportunity to meet with representatives of Gdynia and pass formal offer of the City of Halifax regarding the possibility of cultural and economic cooperation. 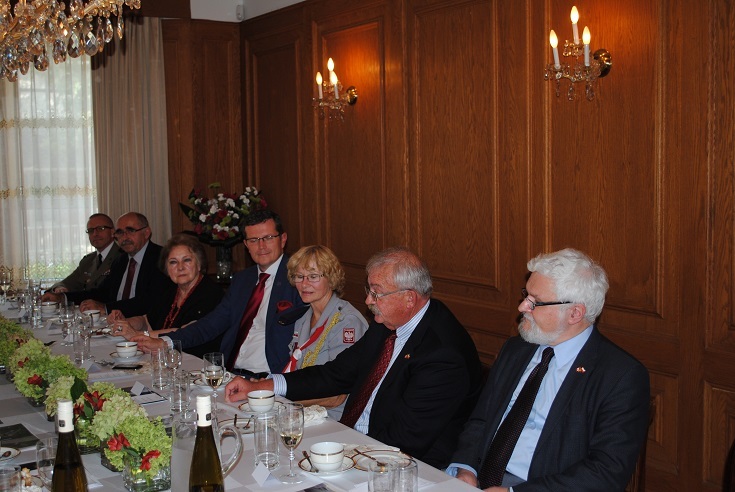 Strengthening Poland's positive image, economic diplomacy and cooperation with Polish diaspora were the main topics discussed by representatives of the Embassy of Poland in Ottawa as well as professional and honorary consuls accredited in Canada during regional conference held in Ottawa on 17-19 September 2015. 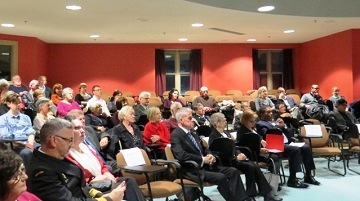 The meetings were also attended by representatives of the Department of Public and Cultural Diplomacy of the Ministry of Foreign Affairs, the Trade and Investment Promotion Section in Montreal, office of Polish Tourist Organization in New York and Polish diaspora organizations: Canadian Polish Congress, Polish Combatants Association, Federation of Polish Women in Canada, Young Polish-Canadian Professionals Association and the Polish Scouting Association. Participants of the conference discussed about the priorities of promotional activities and cooperation with the Polish diaspora in the coming years, changes in the consular law and possibilities of improving cooperation between embassy, consulates general in Vancouver and Toronto, consulate and the Trade and Investment Promotion Section in Montreal and honorary consuls in Halifax, Winnipeg, Saskatoon, Edmonton and Calgary. A Consul from the Polish Embassy in Ottawa travelled to Halifax to render consular services for the Atlantic Provinces Polish community on September 12, 2015 at the location of the Polish Consulate in Halifax. Many Polish citizens met with the Consul to apply for a passport and for other consular services. If you are interested to meet with the Consul during the next consular outreach session in Halifax please contact me by email. A session will be scheduled if there is sufficient interest. Colonel Kiszkowiak talked about a long history of good relations between Poland's and Canada's armed forces. During the World War I in the town of Niagara on the Lake Canadian soldiers trained 22,000 Polish recruits, who fought on the European fronts in 1917 and 1918. During World War II Poles and Canadians fought together in Normandy. 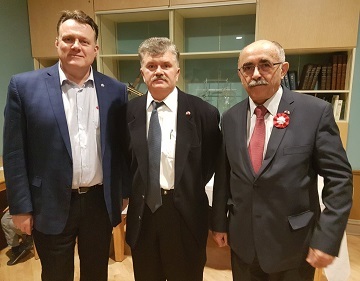 Canada accepted in 1947 hundreds of Polish veterans who could not return to their homeland because of the communist regime repressions and was the first country to ratify the Polish accession to NATO structures. Today Canada supports the NATO operation of strengthening its eastern flank by presence of Canadian soldiers also in Poland. "The Death of Captain Pilecki" is a story of the Polish Intelligence officer who wrote the first intelligence report on Auschwitz in 1941, which enabled the Polish Government in exile to convince the Western Allies that the Nazi crimes were taking place in this camp. He volunteered for Polish resistance operations and was willingly imprisoned in Auschwitz in order to gather intelligence. While there, Pilecki organized a resistance movement and escaped after nearly two and a half years of imprisonment. He took part in the Warsaw Uprising in 1944, remained loyal to the London-based Polish government, and was executed in 1948 by the communist secret police. This film is co-presented with the Polish Consul in Nova Scotia, Mr. Jan Skora, and the Polish Embassy in Ottawa, to celebrate Polish Constitution Day. "Ida" is this year's winner of the Oscar for Best Foreign Film. Set in 1962, it tells the story of a young Polish woman who discovers, just before she takes her vows to be a Catholic nun, that she is Jewish. With her aunt, a Communist party member, the sheltered and devout young woman travels to the village where their family was hidden by Christians during the war and then betrayed. With characteristic black-and- white photos and convincingly delineated characters, Ida raised public recognition around the world. It is co-presented with the Atlantic Jewish Council. Poland was the only European country which fought and at times experienced defeat - but never capitulated - from the first to the last day of World War II. 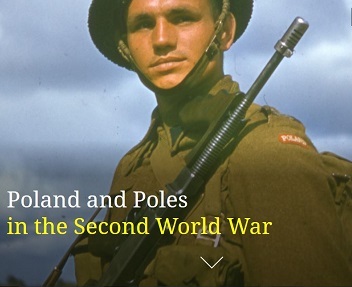 On the occasion of the 70th anniversary of the end of World War II, the Ministry of Foreign Affairs of Poland invites you to visit the newly created website presenting the role of Poland and Poles in the Second World War. In St Vincent de Paul Parish this Tuesday March 31st after Mass at 6.15 pm celebrated by Fr. Darek Misiolek the memory of Saint pope John Paul II a library room was dedicated to this Great Pope. Among invited guests were Jan Skora, Honorary Consul of Poland in Nova Scotia and his wife Teresa. 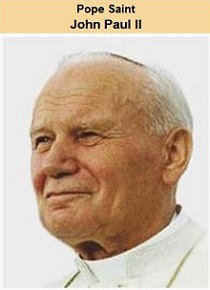 April 2, 2015 marks the 10th anniversary of the death of Pope John Paul II. Although this is not a religious holiday, this date has meaning for us Poles. It is the date of the death of someone very close to us. 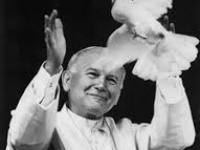 The Canadian parliament has passed an act designating the date of April 2nd each year as Pope John Paul II Day. Passed by both houses of parliament, the bill also recognizes Saint John Paul II as a champion of human dignity and freedom. The pope's philosophical works can be of great significance for our lives. In order to promote his thoughts, our colleague Ryszard Stocki, an organizational psychologist, educator and business consultant, currently a research fellow in the Economics Department at St. Mary's University in Halifax co- founded the Institute of Karol Wojtyla in Krakow, Poland. One of the projects of the Institute is everyday life science textbook, based on the anthropology of Wojtyla, edited by Mr. Stocki, more information about the project here. The first chapter has been developed last year. On the occasion of the upcoming anniversary Mr. Stocki made the first chapter available to us. You are invited to read it and explore it for yourself. For centuries Poland was a refuge for millions of Jews, country which welcomed them while they were persecuted in other European countries. We must remember that more than a third of those who died in Auschwitz were Polish citizens - said ambassador Marcin Bosacki during a ceremony commemorating the 70th anniversary of the liberation of the German Nazi concentration and extermination camp Auschwitz-Birkenau, which took place on January 27, 2015 in Ottawa City Hall. 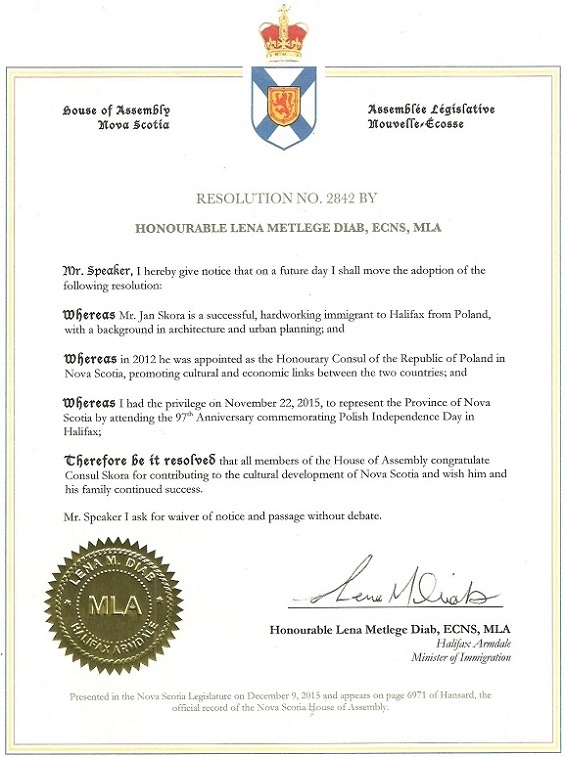 Bill C-266 Recognizing Pope John Paul II Day became law in Canada - A message from Hon. Jason Kenney. The Polish community gathered at St. Anthony's Church in Dartmouth to share Christmas tree tradition, carol singing, sharing of 'oplatek' (Christmas wafer) and wishes for good health, prosperity and happiness in the New Year. 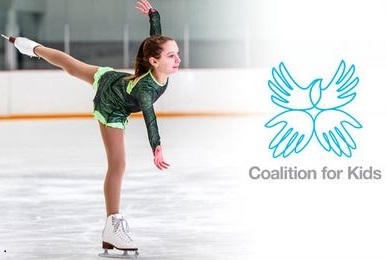 On January 19, at the National Stadium in Warsaw, Poland, 11 year old Olivia Rybicka - Oliver from Hammonds Plains, Nova Scotia, smashed the existing Guinness World Record for the fastest spinner on ice skates of 306 RPM by officially recording a speed of 342 RPM. All the money she raised will be collected by Coalition for Kids International and sent to help the sick children. 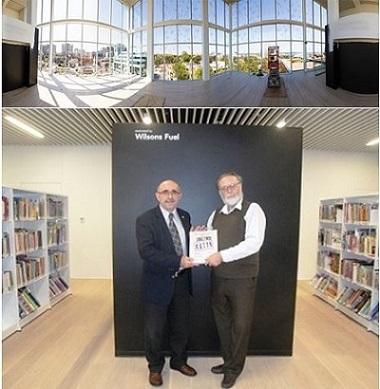 The Honorary Consul of Poland donated a beautiful album "Katyn" to the Halifax Central Library opened on December 13, 2014. The book is a gift for participating in the movie screening "Katyn" during the Polish Independence Day commemoration on November 17, 2014. The movie tells the story about a mass execution of 22,000 Polish POW officers, intellectuals and clergy ordered by the Soviet authorities in 1940. The library director is the son of a Polish pilot who took part in the Battle of England. The book will give the local community the opportunity to learn about the Polish history from the period of the Second World War. Mr. Andrzej Pieczunko, Deputy Director of the Office for Preservation and Dissemination of Archival Records at the Institute of National Remembrance - Commission for the Prosecution of Crimes against the Polish Nation (IPN) and Ms. Teresa Gallewicz visited Halifax upon the invitation of the Honorary Consul of Halifax, Jan Skora. 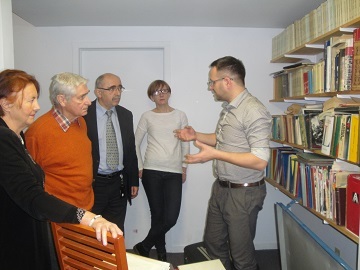 The primary goal of the visit was to review and transfer to IPN the documentation created and collected by Prof. Stanislaw Bobr-Tylingo , saved from destruction by the professor's friends and the Honorary Consul and stored at the Polish Consulate in Halifax since the professor's death in 2001. After the review, IPN decided to transfer 148 items of great historical value to their archives in Warsaw. 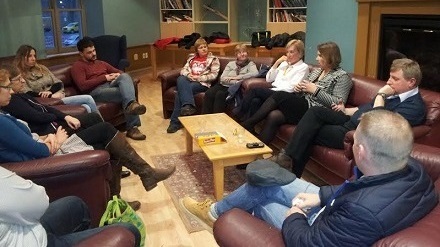 An active discussion took place during a visit about creating opportunities for international co-operation between the residents and institutions residing in Nova Scotia. Often historical documents of great value are stored in private collections. To avoid a possibility of their destruction or getting lost, the individuals would have an opportunity to contact the IPN and request the assessment of the documents with the possibility of transferring them to the IPN Institute in Poland.